Most of the first year involved organizational activities. Developing club bylaws, electing officers, recruiting members. We operated our first field day in 1981. I think we used WA2EKK as our call. Here is our QSL Card. 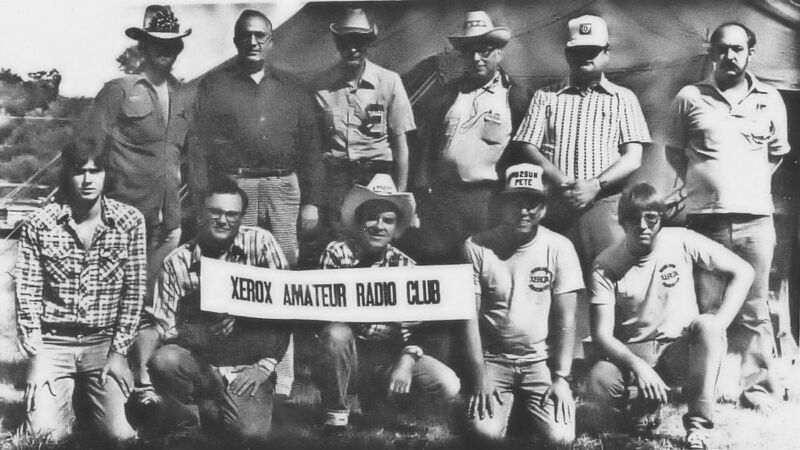 L-R Second Row – Gary Bauer KA2CKR, Frank Erhart WB2WCC, Emerson Ironsides, Unknown, Norm Peer KA2ECO, unknown. Sorry I couldn’t remember those two gentleman, but that was the only time I ever saw them. 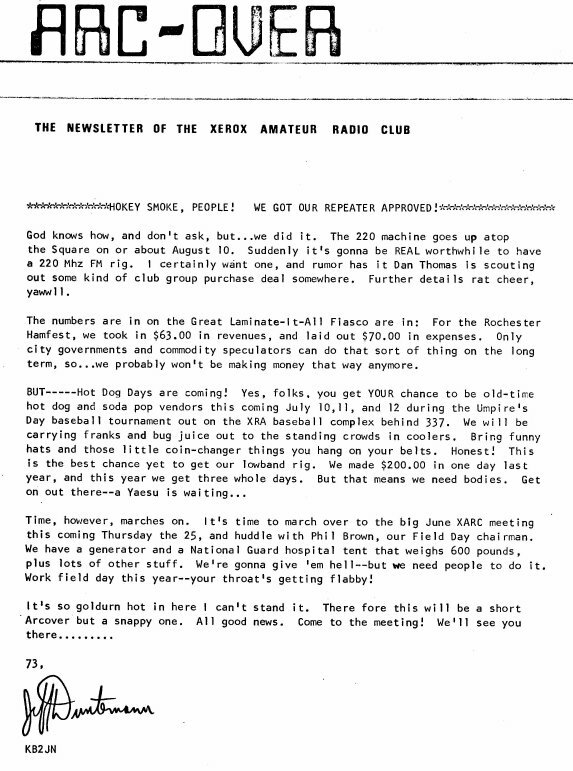 When the club was formed, members had hoped that we might gain access to the Xerox Tower, located in downtown Rochester, NY. It is the tallest building in the city, at around 30 stories. Luckily, we had members in high places, and Dan Thomas, KJ2E, persuaded the right people, and in August 1981, we were allowed to install a 220 Mhz repeater and antenna of the roof of the Xerox Tower. We partnered with Paul DiLorenzo WB2IMT for the first repeater. 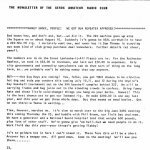 Also in the summer of 1981, we were given the opportunity by the Xerox Recreation Association to man the hot dog stand at a softball tournament one weekend, with the proceeds going to our club. So many of us had the pleasure of flipping burgers and hot dogs all weekend, and I believe we took in about $600 for the club. By then we had been given a corner in the XRA building for a club station, so we needed a rig. 1981 was a transitional period in ham transceiver designs. We had a fairly low budget, and opted for a Heathkit HW101B. They were near the end of their run, but they still worked, and we liked the idea of being able to repair it ourselves.